Here at KOB Construction, we are your one-stop-shop for all of your home improvement needs. Our company specializes in remodeling services, solar panels and electrical work. So whether you need an entire kitchen remodeled from top to bottom or an electrical wiring, we have got you covered! We are a locally owned and operated business with over a decade of experience. We believe in upholding family values, and treating our clients with integrity and honesty. We understand that no two jobs are ever the same, which is why we offer our customers flexible pricing. We also offer military and veteran discounts, and even financing options in select areas. You can count on us to always be upfront, and tell you exactly what you are paying for. Our goal is to earn your business, and we hope that the next time something is needed in your home, you will think of us! Give us a call today at (916) 850-5209 for more information about our services. We proudly serve the residents of El Dorado, Sacramento, and Placer County, CA. 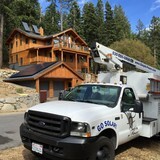 SolarHut is El Dorado County’s premier choice for easy, affordable solar power installations. Forget costly PPA or leasing programs with our $0 down financing you own your system receive the 30% federal credit and depreciation. Why be subject to ever-rising PG&E costs when you can enjoy abundant, affordable solar power! As a Placerville based company we offer knowledgeable, friendly and locally owned service. We have helped many of your friends and neighbors enjoy low electric bills. We're ready to get you on track to enjoy your place in the sun. 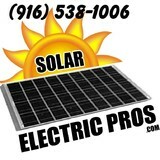 We are a full service solar company that only does solar and only solar. We design and build Solar Photovoltaic Awnings, carports, patios, pergolas, etc. We also do PV pumping systems for ponds, fountains, aerators. We offer an aluminum bracket for hanging solar panels from vertical surfaces such as the side of a building over window areas. Sunfinity Solar is the first solar energy company that is just as passionate about saving you money as we are about saving the environment. As a full service provider, Sunfinity Solar provides the highest quality solar roof systems under the sun. From our advanced photovoltaic panels and 100% satisfaction guarantee to our 24-hour monitoring and free-system maintenance -- we make going solar simple and worry free. What to Expect with Sunworks Our success is based solely on our commitment to provide the best customer experience for every solar project we design and install. We conduct our business using three distinct guiding principles; doing right by the customer, being the best value option, and following through on our commitments. We deliver performance. For the last 30-plus years, our experienced team has delivered thousands of highly successful custom solar projects to happy customers throughout California. We can confidentially say ‘we know what it takes to create a high performance solar solution’. Time and again, our approach has been proven; if we deliver optimized solutions at the best value, then our customer’s will see significant ongoing energy and operational savings for years to come. SunPower by Hooked On Solar is a Master Dealer. SunPower’s Master Dealers are hand-picked from SunPower’s Elite Dealers and receive the greatest level of training among all SunPower dealers. Further, SunPower Master Dealers are held to the highest levels of customer satisfaction, installation quality and service excellence. SunPower by Hooked On Solar is dedicated to explaining the truth behind why all solar panel technology is NOT created equal and take the time to explain the pro's and cons of all financial programs available. So, call us or come visit Sacramento’s first Solar retail design center located in Auburn, CA where you can find out for yourself how we do things differently. SunPower by Hooked On Solar is a Master Dealer. SunPower’s Master Dealers are hand-picked from SunPower’s Elite Dealers and receive the greatest level of training among all SunPower dealers. Further, SunPower Master Dealers are held to the highest levels of customer satisfaction, installation quality and service excellence. SunPower by Hooked On Solar is dedicated to explaining the truth behind why all solar panel technology is NOT created equal and take the time to explain the pro's and cons of all financial programs available. So, call us or come visit Sacramento’s first Solar retail design center located in Rocklin, CA where you can find out for yourself how we do things differently. At PrimePowerBox™, we believe passionately that dirty electricity is one of the most important, potentially dangerous and therefore pressing issues facing mankind today. We believe further that dirty electricity is inefficient, wasteful, and harmful to electronics and equipment. While many experts say even dangerous and unhealthy to plants, animals and humans. Along with off-grid solar, wind and hybrid energy systems that include batteries and backup generators, there are also grid-tied solar and wind operations. Grid-tied systems are attached to your Pilot Hill, CA utility company so if you produce more energy than you use, your meter goes down and you build up energy credits. 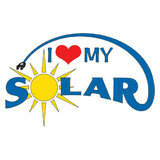 Find solar energy contractors in Pilot Hill, CA on Houzz. Search the Professionals section for Pilot Hill, CA solar energy contractors or browse Pilot Hill, CA photos of completed installations and look for the solar energy contractor’s contact information.